For a small island in the midst of the Atlantic Ocean, Madeira has a big reputation for the sweeter things in life: its history includes sugar, wine, and ‘honey’ – well, a Madeiran interpretation thereof. We’ll discuss the first and the last of these elsewhere, but it’s the story of wine on the island that most visitors have at the top of their agenda. Settled by the Portuguese from the mid-1400s onwards, the island was found to have a climate and soil well suited to the growing of sugar cane. But after the discovery of the Americas and the development of plantations in Brazil and the Caribbean, the cane fields on Madeira soon gave way to grape vines as the main source of income for the farmers. 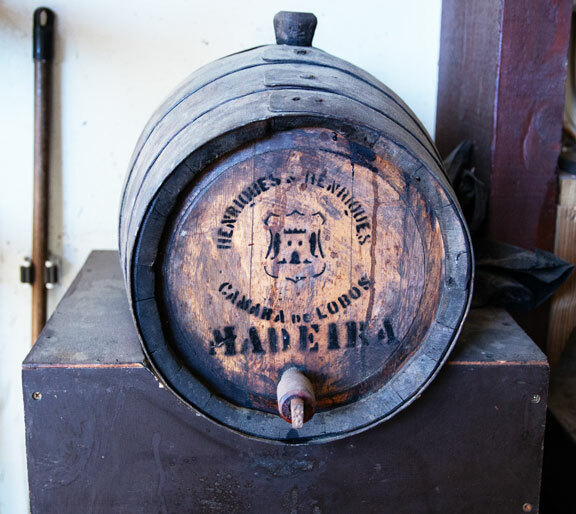 English traders encountered Madeiran wine in the 15th century and found that it was popular because the addition of alcohol to fortify the wine meant that it travelled and kept especially well. Eventually dozens of British companies were set up on the island to buy and sell the wine, and many of the names you will see on bottles today have an unexpectedly English ring to them. The terrain of the island is mountainous, so vineyards are small and steeply sloping, but those same mountains also capture a plentiful supply of rainwater, carefully channelled in ‘levadas’, centuries-old narrow canals that run along the precipitous valley sides, bringing water from the wetter north of the island towards the south, to irrigate the fields below. 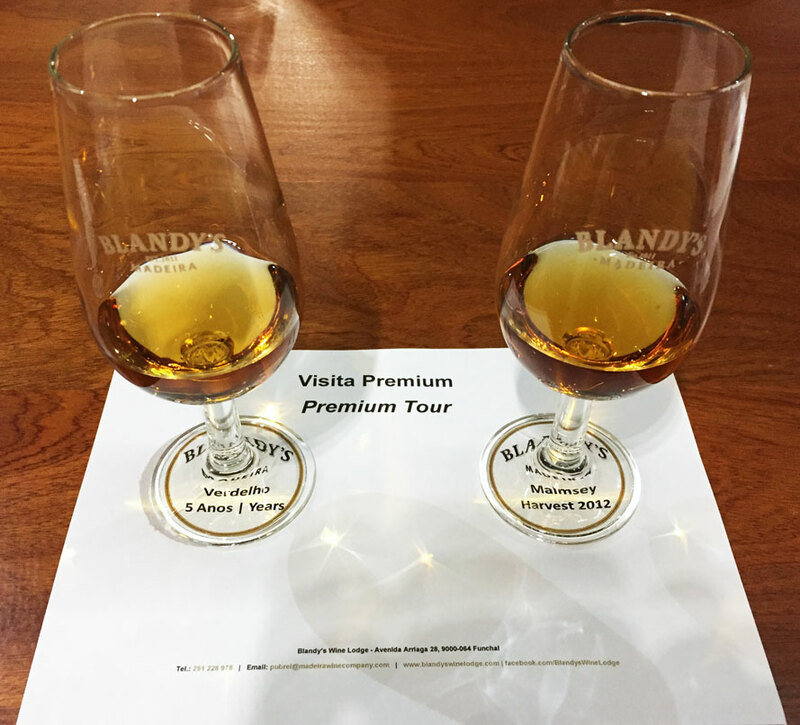 They also provide ideal pathways for walks or more rigorous hikes into the interior of this green and picturesque island, and that is the key to wine tours organised by Discovering Madeira, and others. There’s no better way of learning about a country than in the company of a local. You’ll hear tales of the land, the people, history and legend. 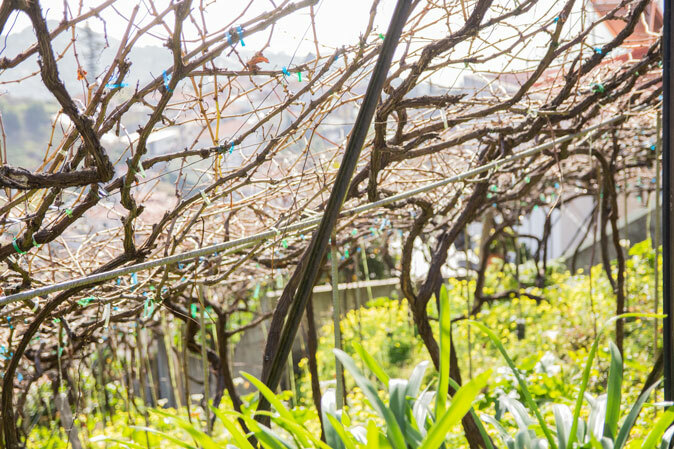 As well as arranging tours of Wine Lodges in Funchal, your guide can take you around the island to visit the vineyards belonging to some of the hundreds of family producers so essential to Madeira’s world-famous products. The steep vineyards mean that hand-picking is the only way to harvest the grapes, and depending on weather conditions at the time, it may be necessary to revisit each vine several times in order to collect each fruit in peak condition – hard work! But at least the very mild climate means that the picking season lasts from August on the warmer slopes to October on the cooler. You will stroll in the rural tranquillity of Madeira visiting vineyards and winemakers, and meet the dedicated people who nurture the vines, pick and press the grapes, and patiently bring the wine to a delicious maturity. The annual production of the entire island is only 4 million litres, but the skill and pride of the Madeirans shines through in each precious bottle. With a home-cooked lunch and wine sampling included, and in the company of a very well-informed and amusing guide/story-teller, your day will be a memorable journey around the island’s most important trade.